'Paradise' is an up tempo pop Summer anthem that’s packed full of sing along crowd hooks, energetic guitar lines and powerful melodies. Itʼs an uplifting song for listeners of all ages to enjoy about finding your Paradise wherever you’re at in life. From the moment 25-year-old Big T stepped onto The X-Factor stage, Australia embraced the loveable singer. His appearance on The X Factor catapulted him into Australia's living rooms and after winning the hearts of the nation with his incredible voice and infectious personality, he went on to place 4th overall in the series. His ability to move between genres in music made Big T the one to watch, and his live show has won him a legion of fans. The journey for Big T post X Factor has been truly remarkable, and many opportunities have followed the talented performer all across Australia, and internationally. In addition to his growing list of performance credits, Big T also lends his name to support a number of worthy causes and he is proud ambassador for Johnny Bigg featuring in their seasonal campaigns, and is an ambassador for suicide prevention Charity RUOK, continuing to use his profile to be part of campaigns close to his heart. 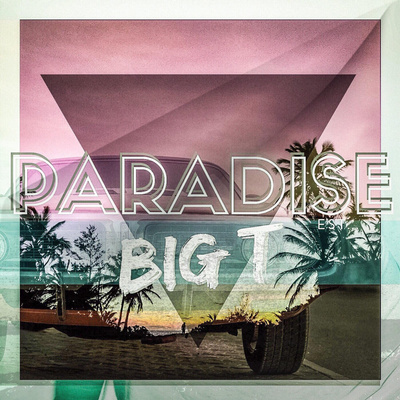 With over 40,000 fans across his social media pages, Big T is sure to make his mark on the music scene, and there’s still plenty more to come from him, including his debut single 'Paradise'.